Please note that the daily report will not be issued on January 1 due to an observed state holiday. The next report will be shared on January 2, 2019. Monitoring potential fuel supply chain concerns in conjunction with the Colorado Energy Office and Colorado State Patrol. Please note that a daily report will not be issued on December 25 due to the observed state holiday. The next report will be issued on December 26, 2018. Level 3: Monitoring nationwide bomb threat emails; supporting response and recovery for incidents across the state. State EOC activated to support statewide and nationwide bomb threats initiated on December 13. 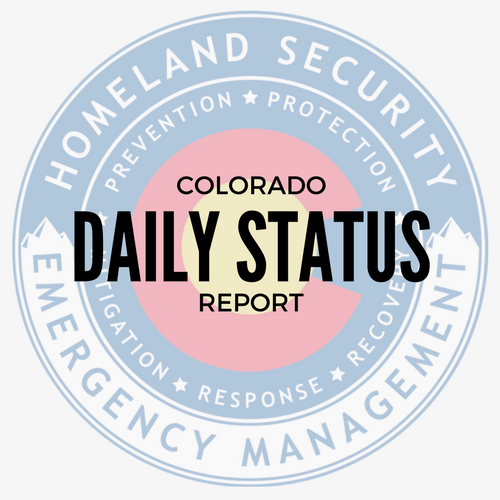 At 9 a.m. the Colorado State Emergency Operations Center transitioned to normal operations. 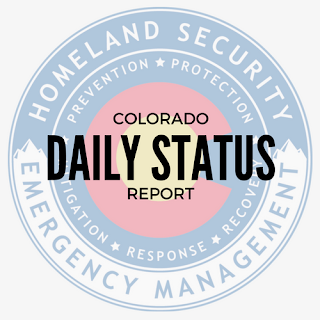 Colorado State EOC Activated at 1 p.m. on December 13 to support statewide bomb threats. 1. If you or your agency receive similar email threats please report these to your local law enforcement. 2. The FBI Joint Terrorism Task Force is the lead agency. 3. 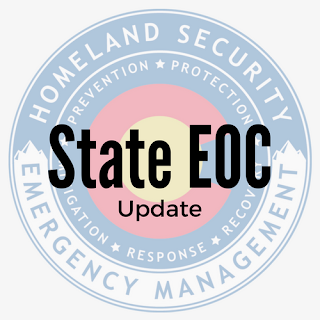 The Colorado State EOC is activated at Level 3 to support local jurisdictions and coordinate with federal agencies. 4. The FBI is reporting that 25+ states have received these threats, which have all been unsubstantiated. No bombs have detonated. 5. The FBI is aware of the recent bomb threats made in cities around the country. 6. FBI remains in touch with their law enforcement partners to provide assistance.